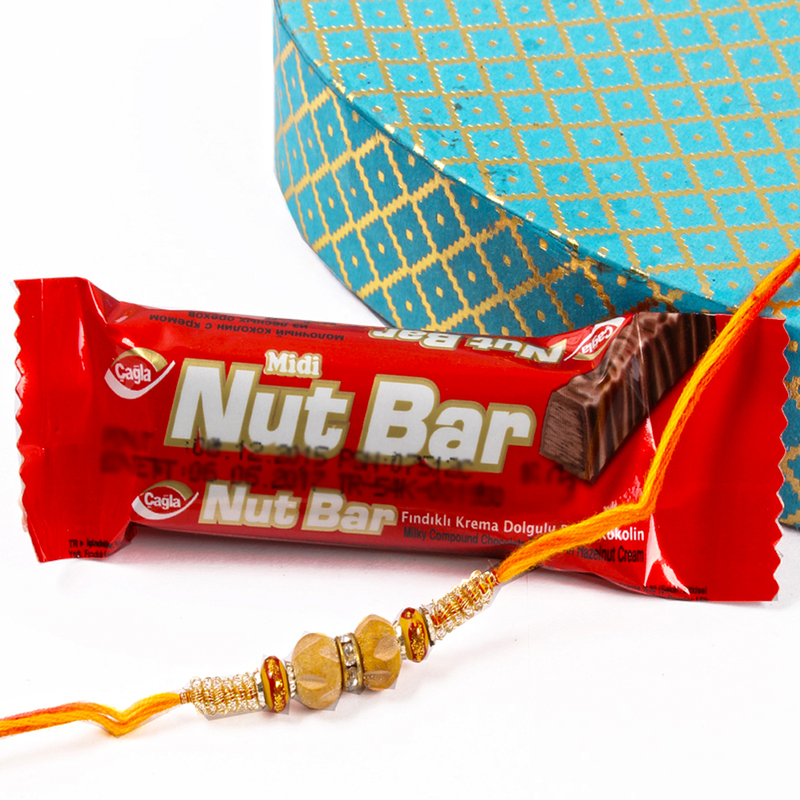 Nut Chocolate Bar (Weight : 16 Gms), Sandalwood and Diamond Ring Rakhi along with Roli Chawal. Rakhi is the festival of special love sharing between brothers and sisters in a very special way. But to blend the celebrations with similar rakhi cannot make it unique every year. Send your brother this charming rakhi which is decked with Wooden beads, Diamond Ring work piped shaped on the sides of the beads really remarks the true beauty of the thread. 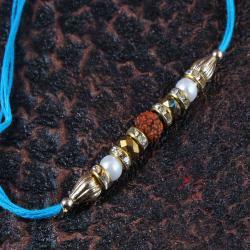 The entire center of the rakhi is charmed with wooden round beads. The thread of the rakhi is embellished with golden zardosi. It gives us a chance to express our feelings for our brothers which we cannot say in words sometimes but of course we can show through this. Express your feelings of love with a special rakhi. Love for your brother more are the delight shared on the festival of Raksha bandhan. 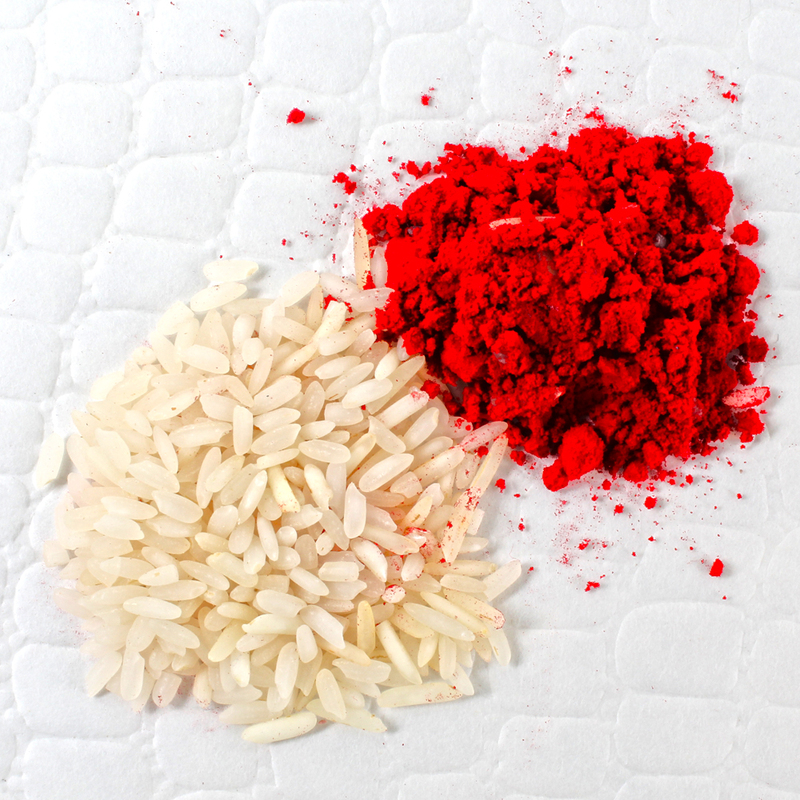 Roli Chawal for the perfect mixture of festivity and tradition. Product Includes : Nut Chocolate Bar (Weight : 16 Gms), Sandalwood and Diamond Ring Rakhi and Roli Chawal.